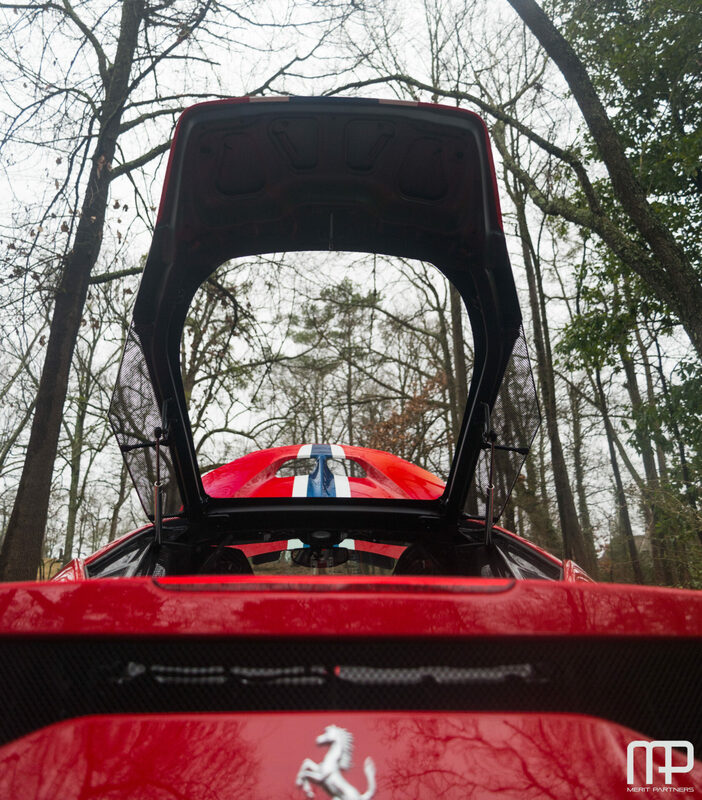 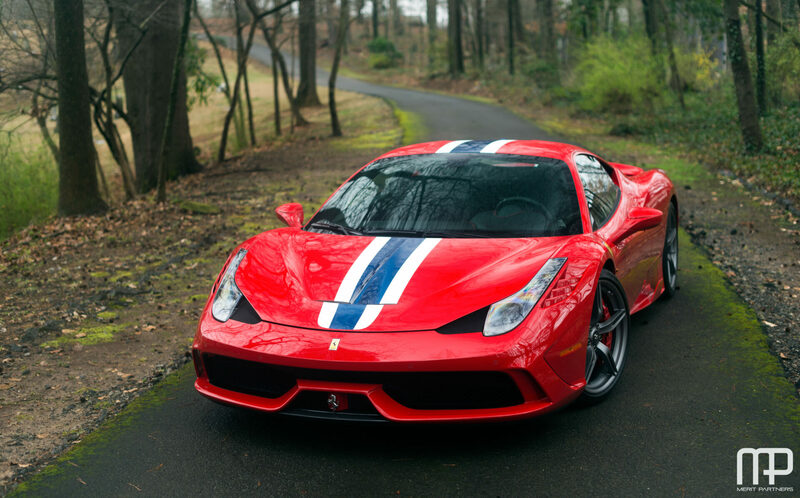 Merit Partners is pleased to offer this highly desirable 2014 Ferrari 458 Speciale with Blu Nart Stripe in Rosso Corsa over Nero interior. 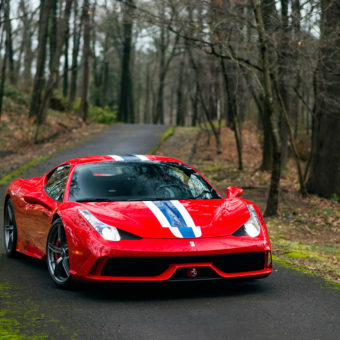 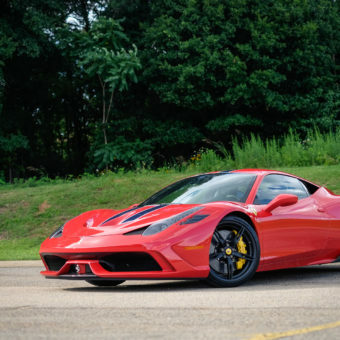 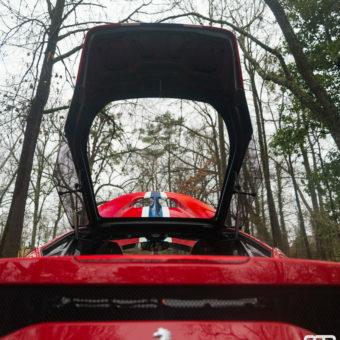 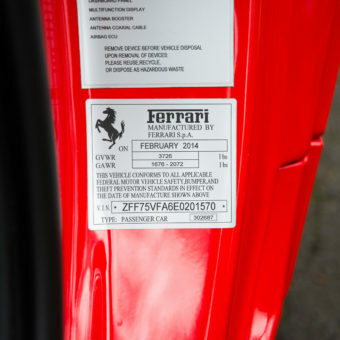 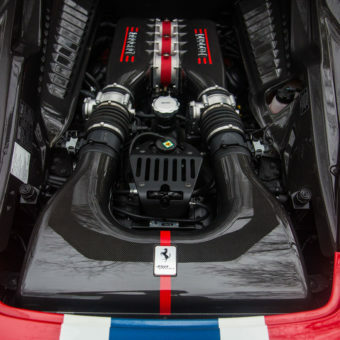 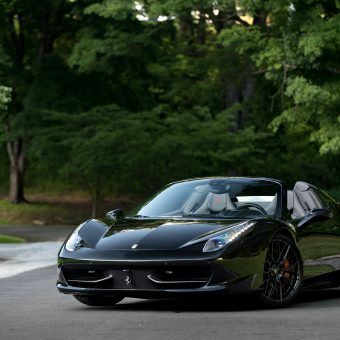 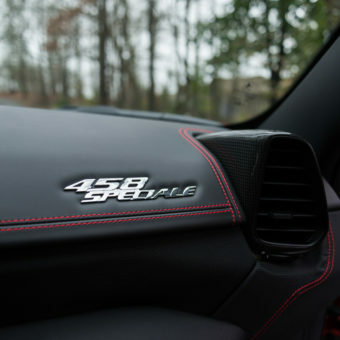 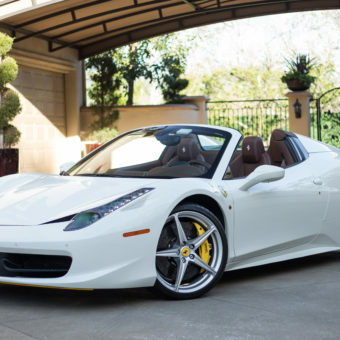 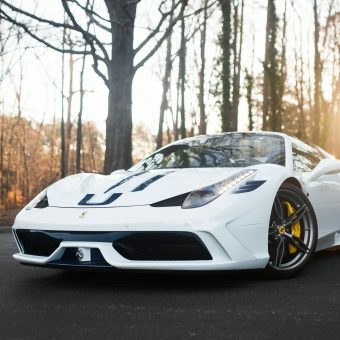 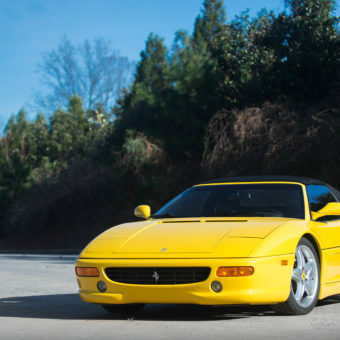 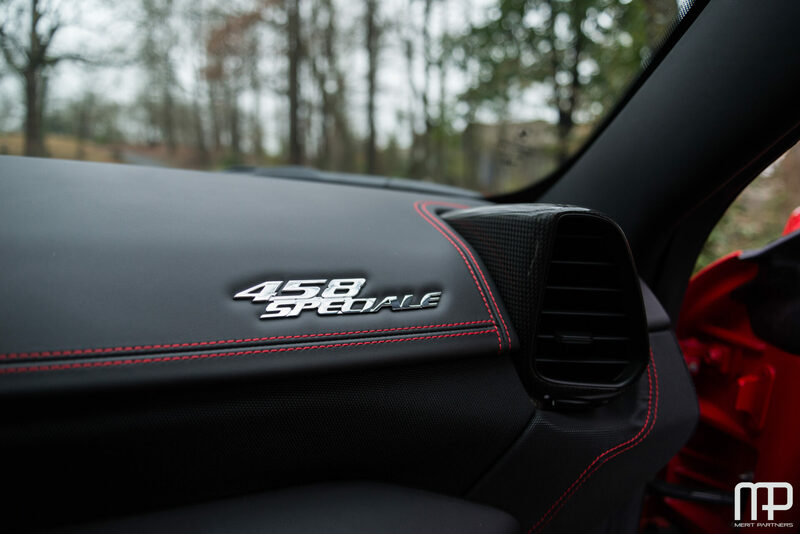 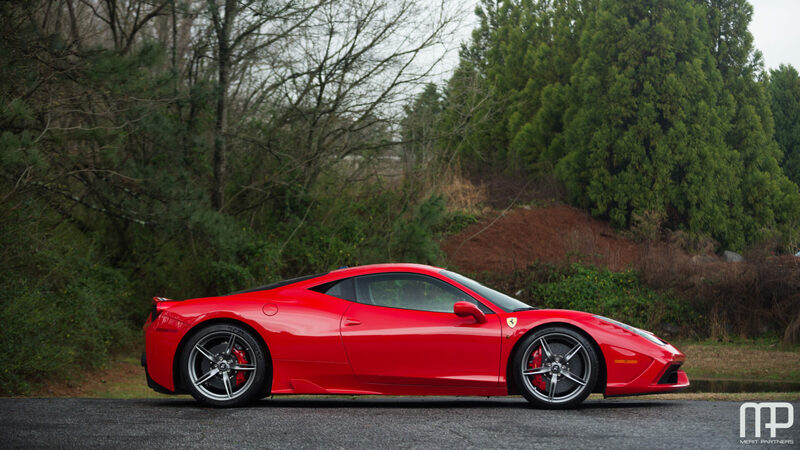 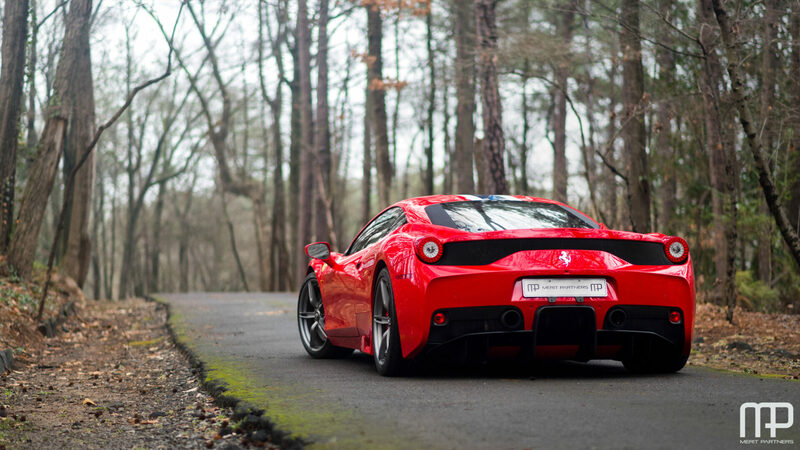 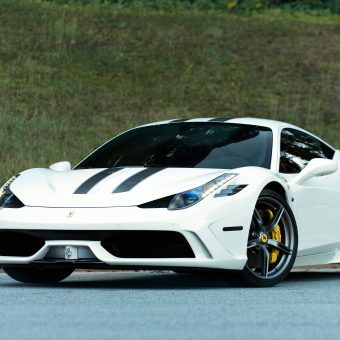 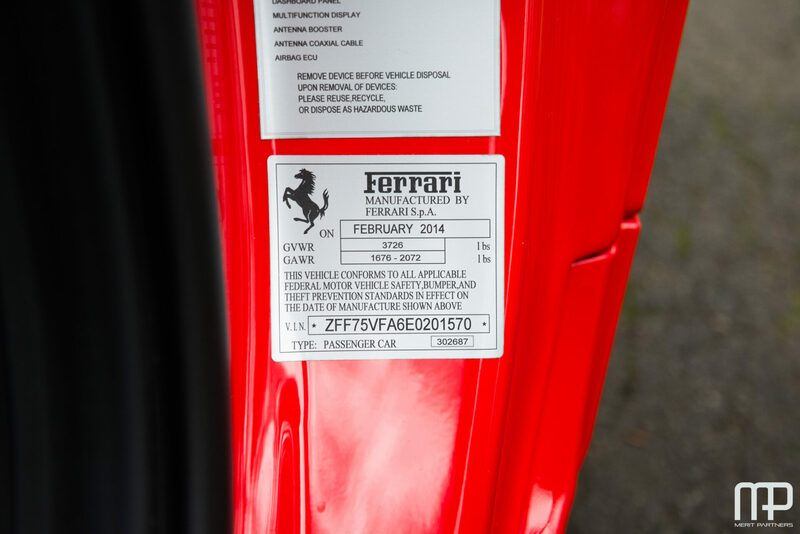 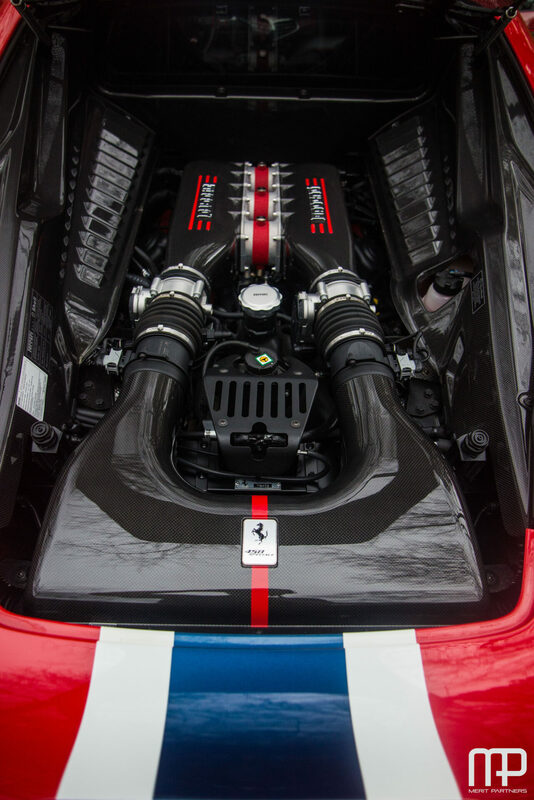 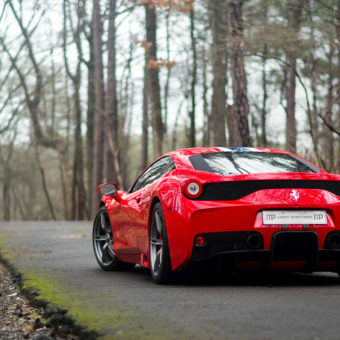 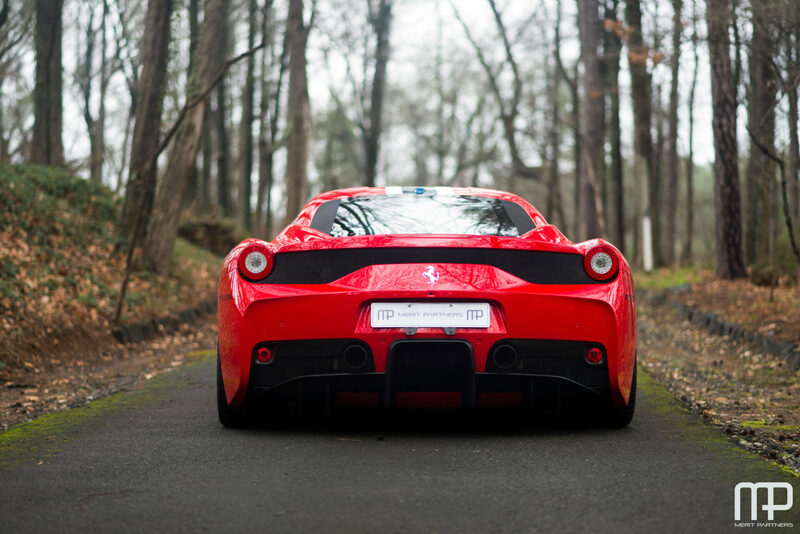 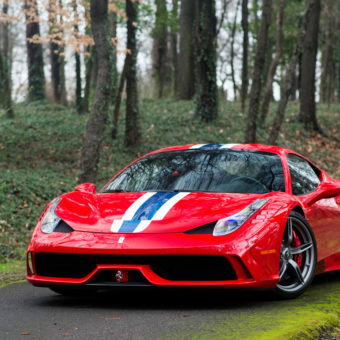 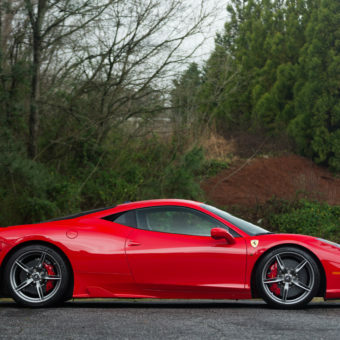 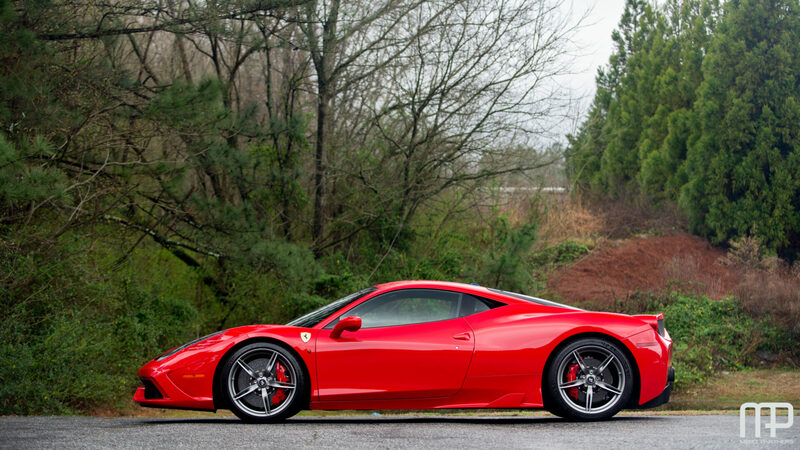 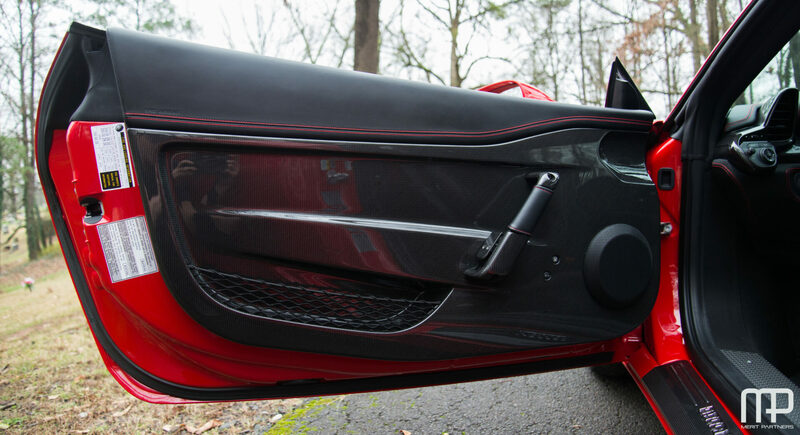 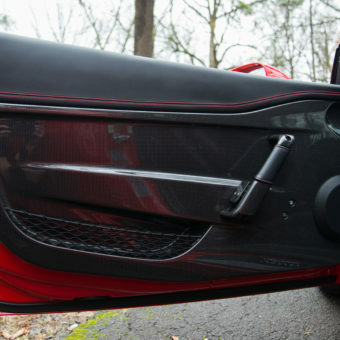 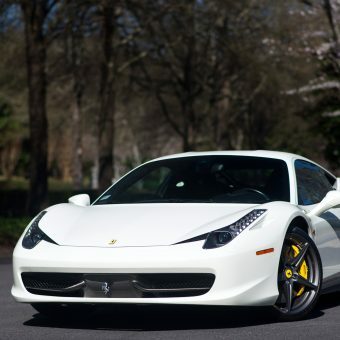 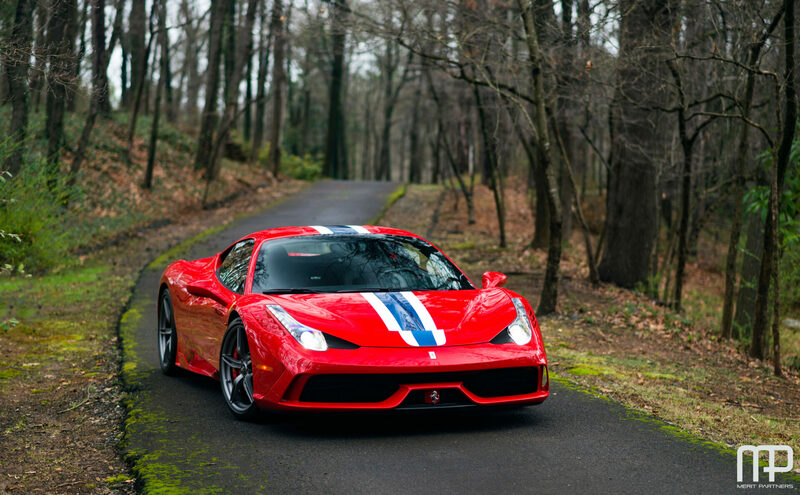 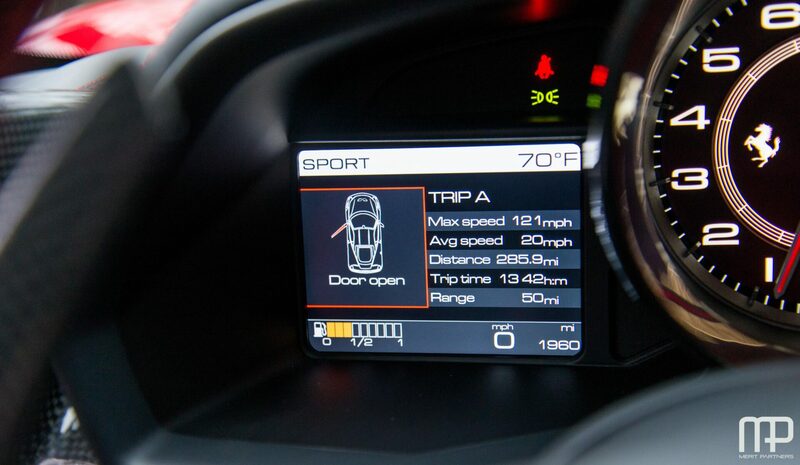 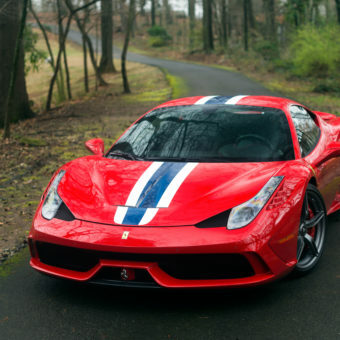 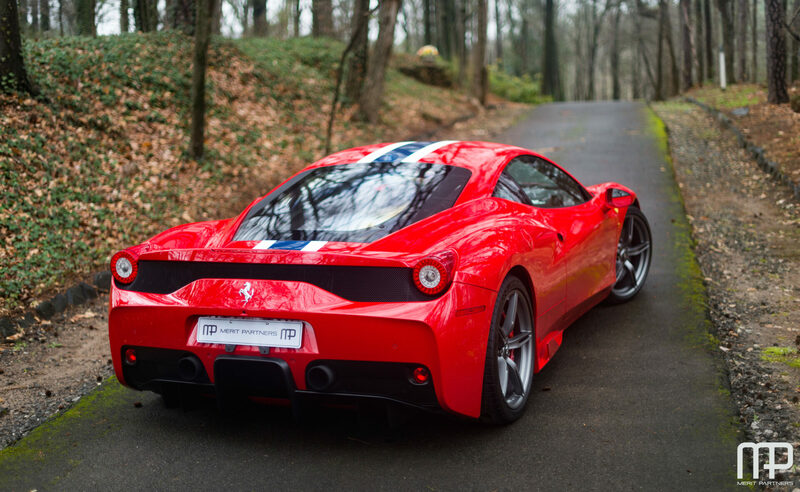 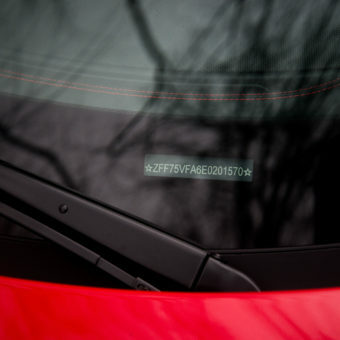 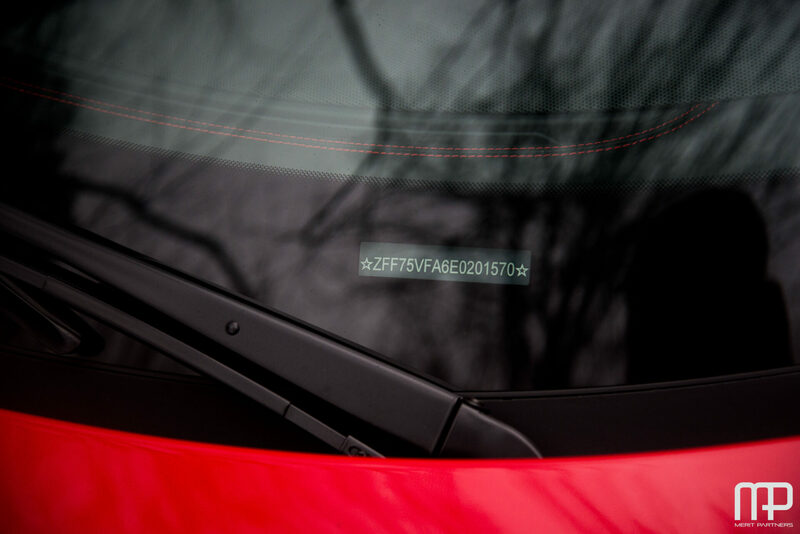 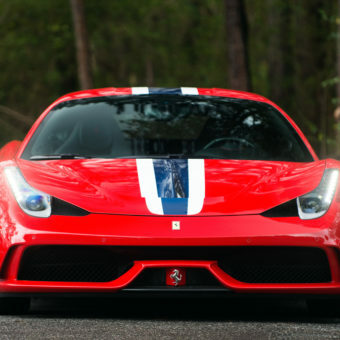 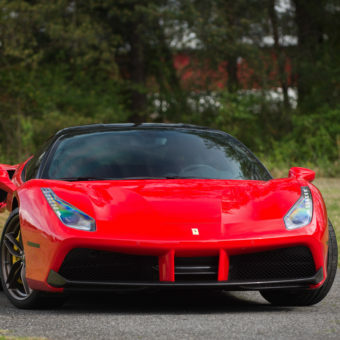 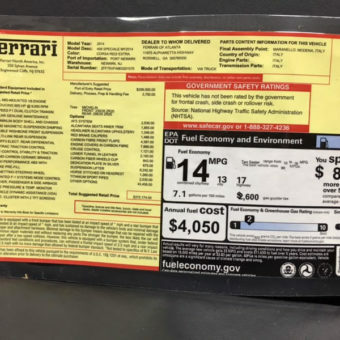 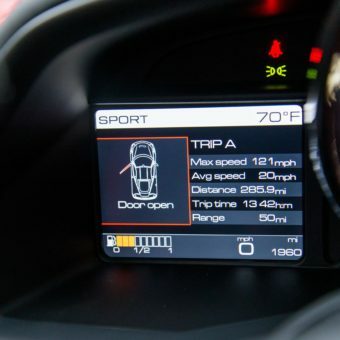 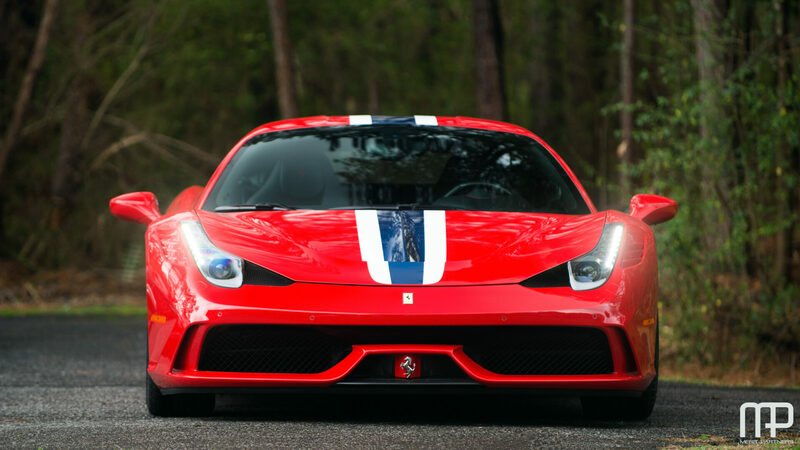 This Speciale is one of the highest MSRP’s we have seen with a window sticker of over $372k. 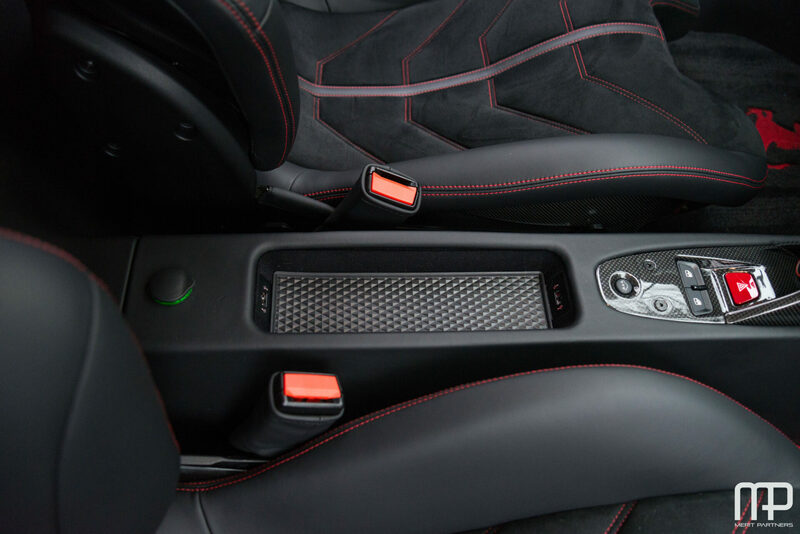 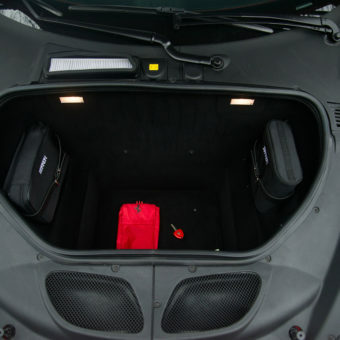 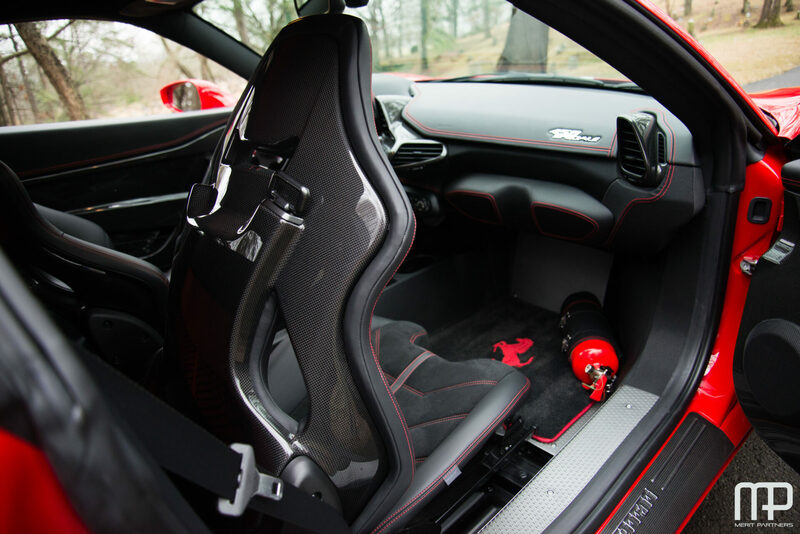 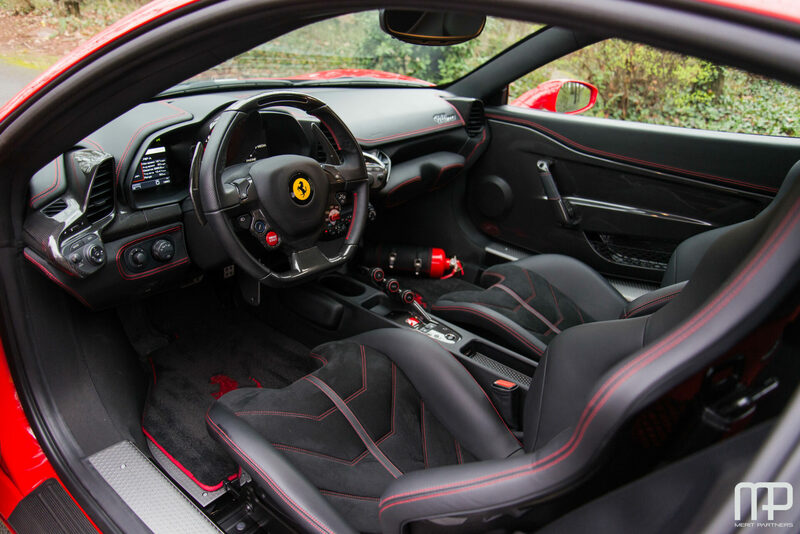 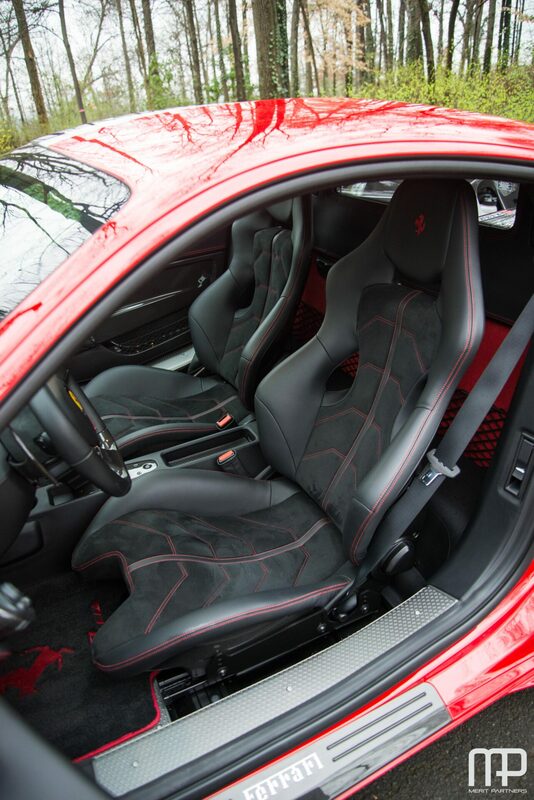 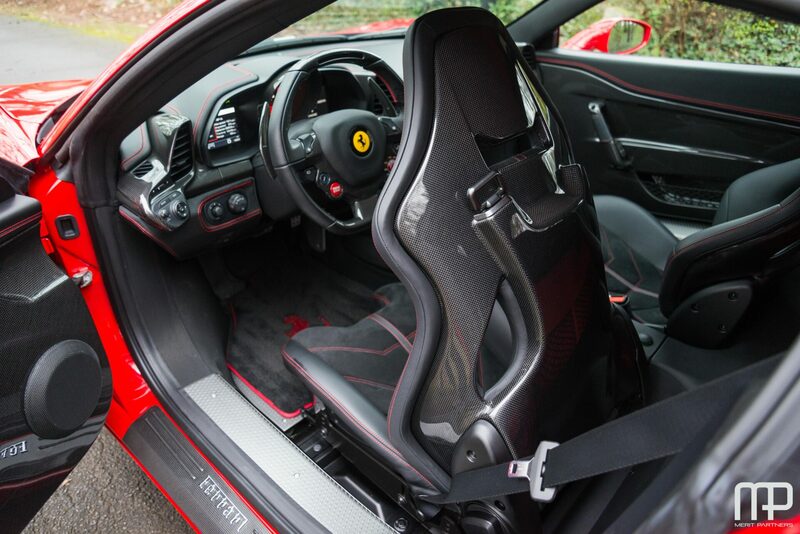 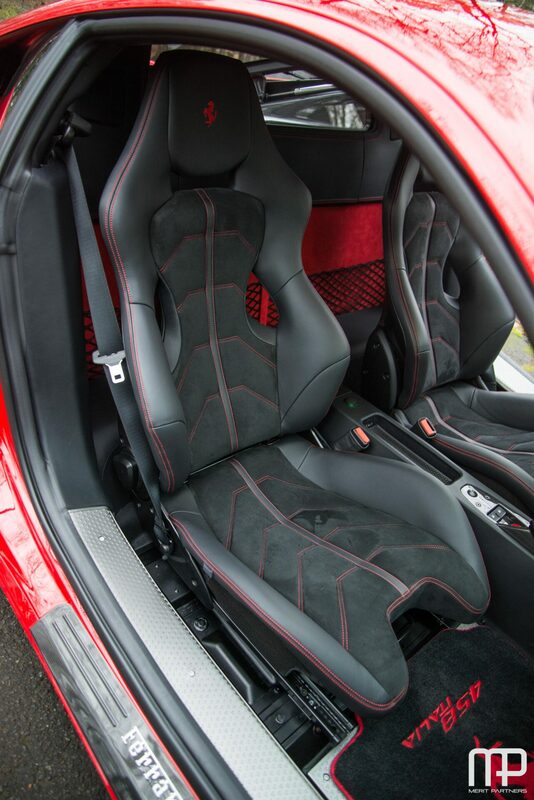 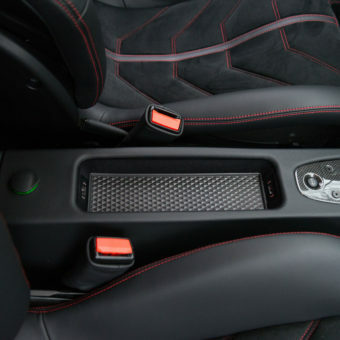 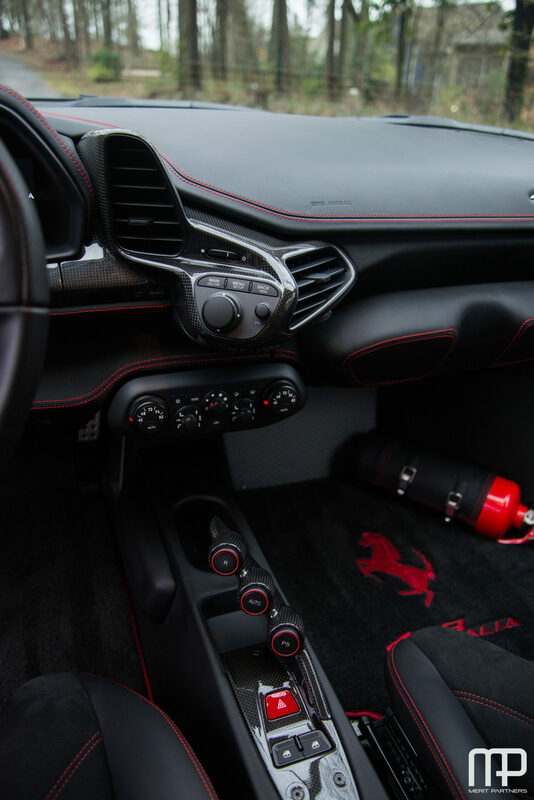 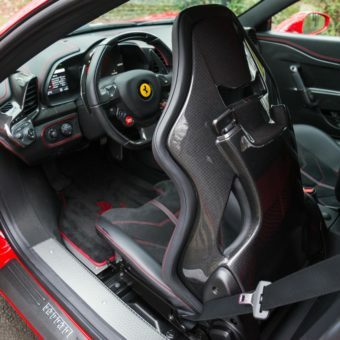 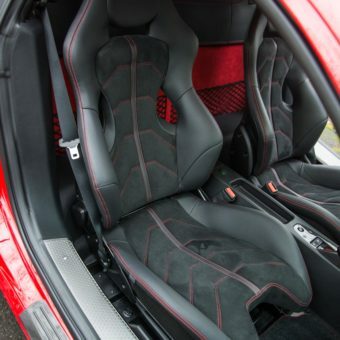 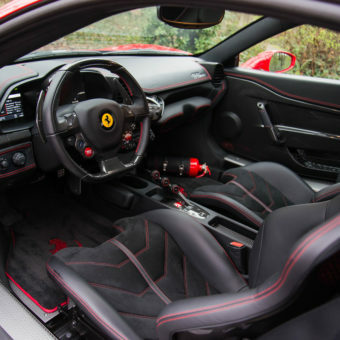 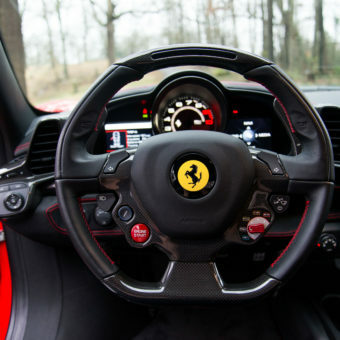 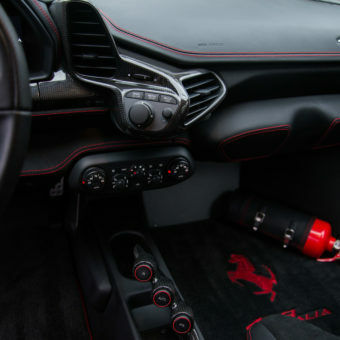 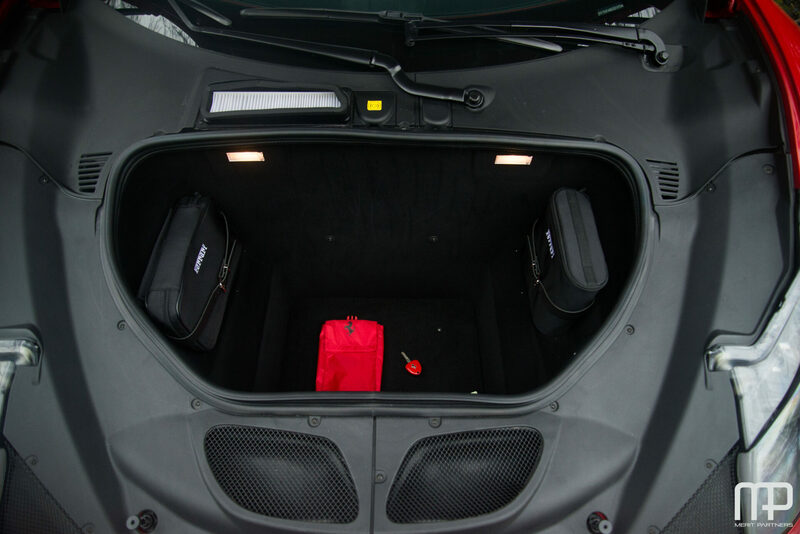 Many Speciale’s have a rather spartan interior but this one features liberal use of leather and Alcantara making the cabin much richer in appearance. 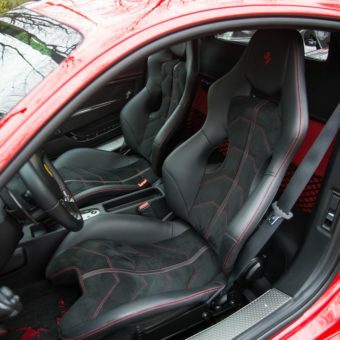 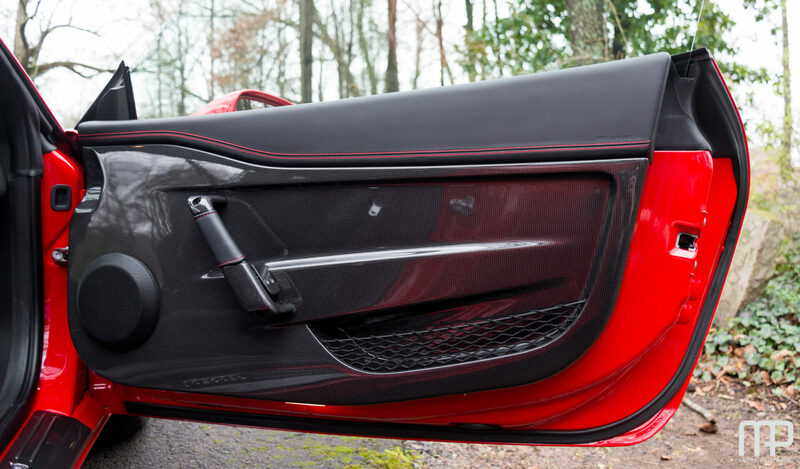 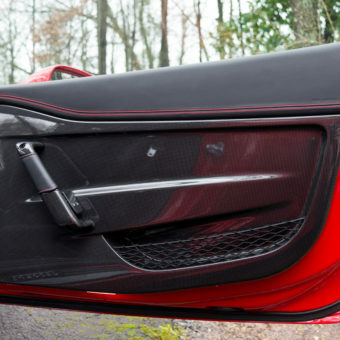 The interior features Nera Alcantara trimmed seats with Rosso stitching as well as a rear wall and headliner in Alcantara Rosso. 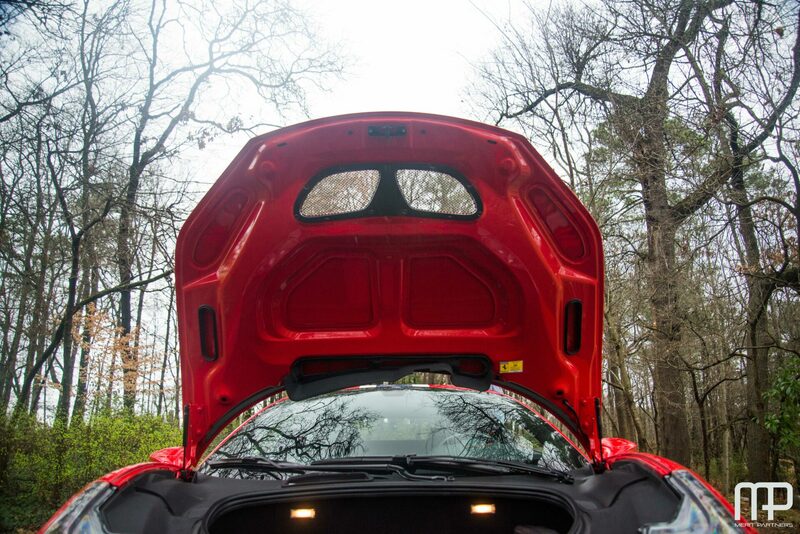 The car has paint film protection on the full hood, rockers and nolders with no accidents or known paintwork. 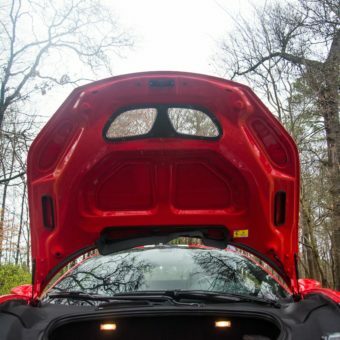 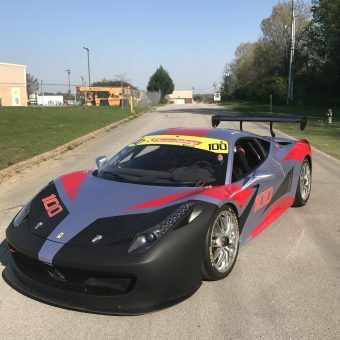 This all stock car has been driven exclusively on the street with no track work and meticulously maintained. 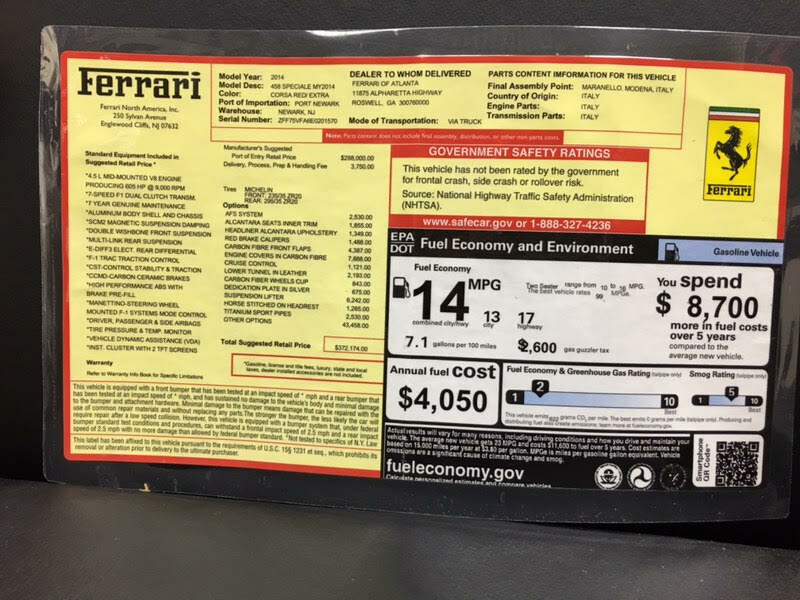 All manuals, original window sticker, both keys and service records are included with the vehicle and it was recently serviced.